I’m exhausted. Here are some metal-based things. Now go away. Let’s start with a tour. The Black Dahlia Murder, Iron Reagan, and Maruta will be hitting the road this fall. Some big, popular names right there. None of which I’m all that concerned about. More fun this time. Those who know Dan and I well, know that one of my journeys to NYC included acquiring an Iron Maiden beer. It was a simple British ale then. 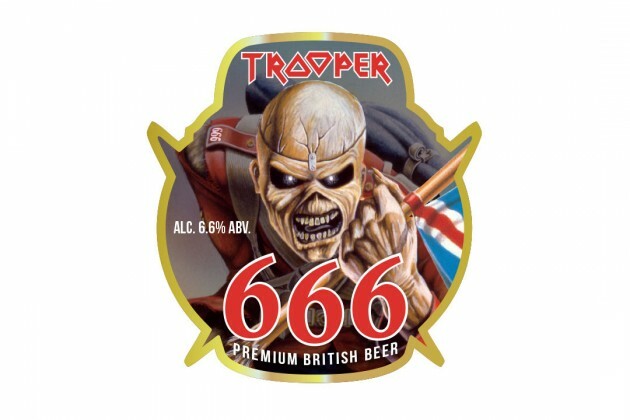 Now, well, the legends have returned with a 6.6% ABV version called Trooper 666. On a more amusing note, a recent Amazon customer received an interesting note with his Venom and High On Fire albums in the mail. Some Jesus fanatic thought it was time he found Jesus “before it’s too late.” Religion is dumb. In preparation for Denver Black Sky Fest, Skinless have announced a brief run of shows this fall. If you’ve missed them at MDF (us), this is your chance at redemption (probably not gonna happen). Pretty… pretty… pretty… pretty good.